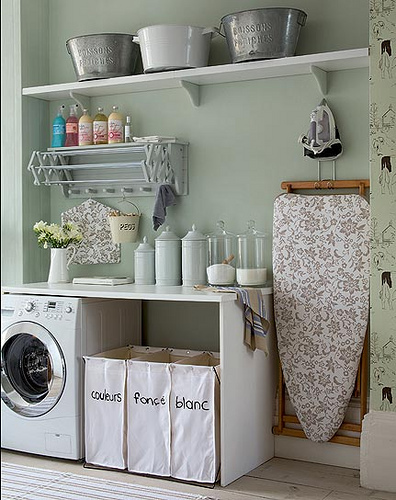 Laundry can be beautiful…ok maybe the act of laundry is not beautiful but the room can be! 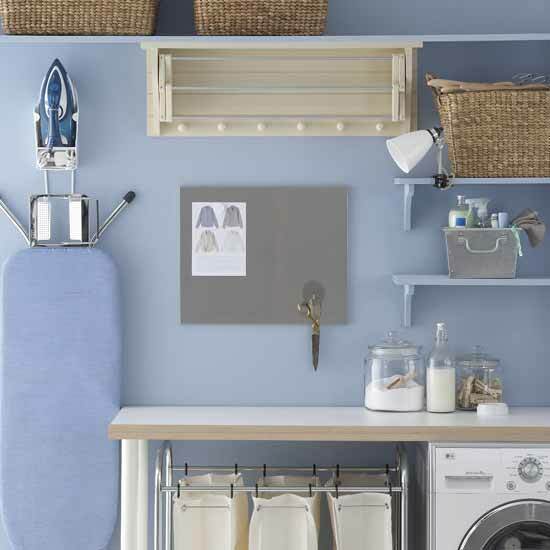 What makes a good laundry room? Shelves for storing all of your cleaning products. Ironing board and Iron in an easy to reach spot…so you will use it. Drying racks of some sort. 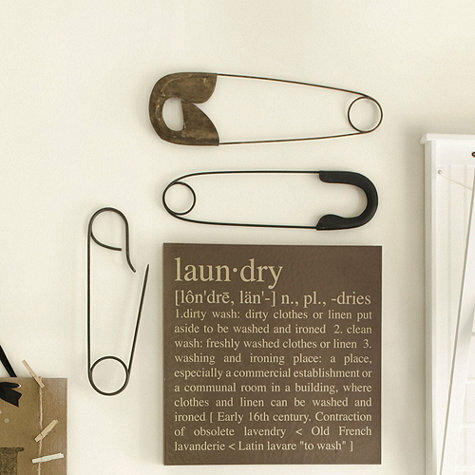 Hooks, a rod, or a roll away rack for items that need to be hung immediately. 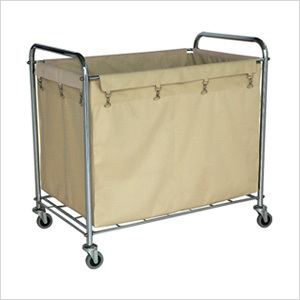 Baskets for storing things you do not want to see or grouping like items. Space to store laundry before and after cleaning, I would like storage for 2 large laundry baskets. I love this room…yes I would be happy spending time folding in here! Room with a view! Love it. Ah now this is lovely. 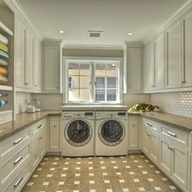 I like all the shelves and organization in this laundry room. Decor for your room perhaps? 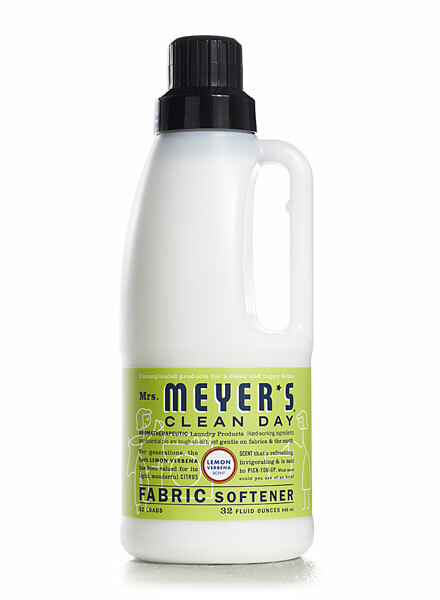 This is a must for a busy laundry room! 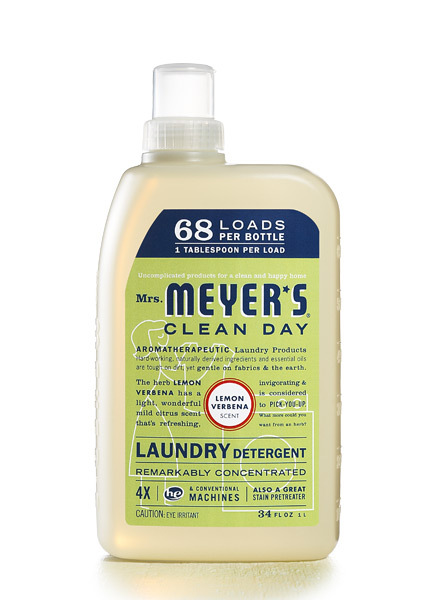 These Mrs. Meyers products below are the best thing about my laundry room! You can get this wonderful product at Target, my hardware store even carries it! This will change in January, when I plan to renovate my laundry space (I do not have a room…just a closet). 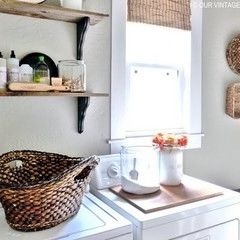 I want a laundry room, with lovely cabinets, windows with a view, soapstone counter tops, and a deep sink for washing…is that too much to ask for? It is too much to put in a closet so I will have to settle for stacking my washer and dryer and adding shelves! I hope you enjoyed this post! 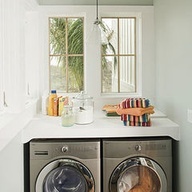 If you like it let us know, if you have any tips for better laundry or a better laundry room…tell me! I was thinking that my laundry room looks just like those beautiful pics, except it’s in the basement and it’s waist deep with laundry all the time! And hockey bags, and luggage and the rest of the junk that has no home in our house! Ohhhh, someday! I must say, I did put in cabinets from the martha stewart kitchen line and they are really nice!